Blumoo is the ultimate universal remote control, giving you complete control of all your home entertainment devices through nearly any smart device, including Apple Watch and Amazon Alexa. This must-have gadget retails for around $100, but Lifehacker readers can get one today for $52.99 + free shipping - nearly 50% off MSRP. The days of lost remote controls and cluttered electronic gear is over. Blumoo connects your smartphone to your electronic devices for complete access, literally at your fingertips - if it has a remote, Blumoo can control it. 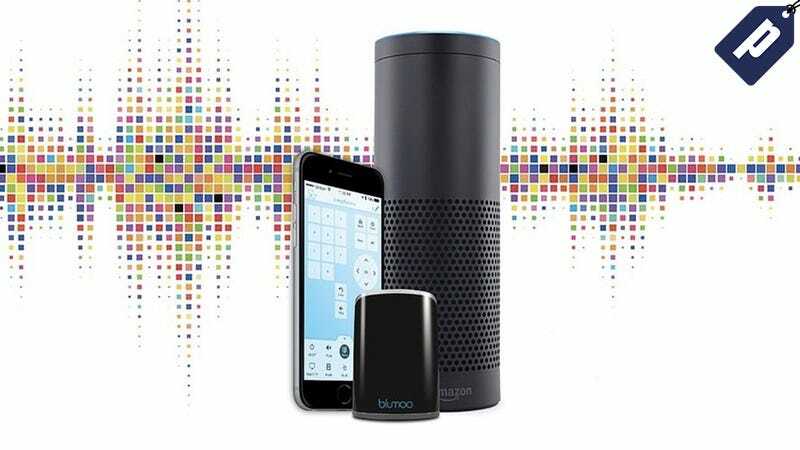 Best of all, Blumoo is compatible with nearly all of today’s connected devices: from iOS and Android phones to Apple Watch and Amazon Echo. Blumoo is well worth it’s standard $100 price tag, but for a limited time, Lifehacker readers can get it for an ultra low price of $52.99 - nearly 50% off. Shipping is included to the US, and will take 1-2 weeks to arrive. Interested? Hit the link below to learn more.